You know Metro Manila’s traffic situation’s hit a new low if companies are now starting to offer a “Road Rage Package.” And before you ask, no, it still doesn’t involve installing a Gatling gun or flame throwers—at least not yet. Instead, we’re talking about some lightweight armoring, you know, to protect yourself against people with guns. 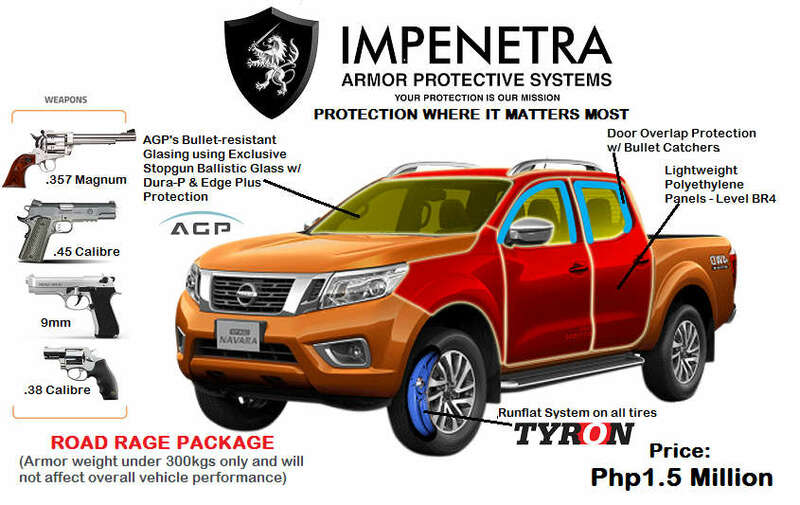 Weighing about 300 kilograms, this lightweight armoring is made of Level BR4 polyethylene panels that reinforces the doors and other metal parts, bullet-resistant ballistic glass, and run-flat tires. 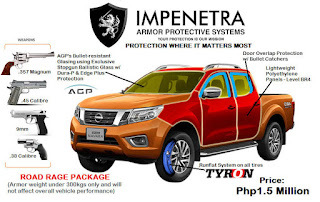 According to the developer, Cavite-based Impenetra Armor Protective Systems, it’s enough to resist most common handgun attacks—from a .38 caliber to .357 Magnum. And with that sort of weight penalty, it shouldn’t affect overall vehicle performance, especially if it’ll be installed in pickup-based passenger vehicles (PPVs) like the Nissan Terra or Toyota Fortuner and pickup trucks like the Ford Ranger or Mitsubishi Strada. Plus, it’s said to be quite affordable. 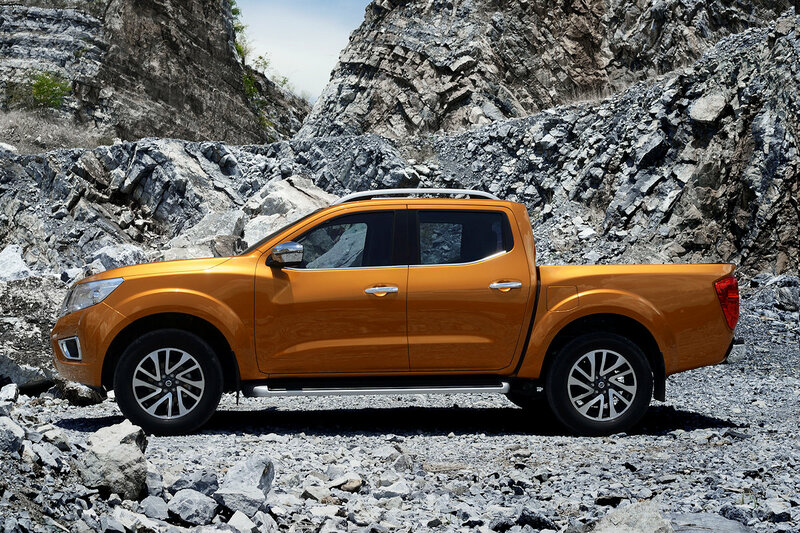 The system, installed in a Nissan Navara for example, will set you back just P 1.5 million. Impenetra will be displaying some examples at the upcoming Manila International Auto Show if you’re interested to see their work. GANUN TALAGA KAHIT SINO. HINDI KA NAMAN MAG YAYABANG SA IBANG BANSA DAHIL HINDI MO LUGAR YAN. PWEDE KA MAPA UWI ALAM MO YAN.. HINDI LANG NAMAN PINOY. KAHIT ANONG LAHI PA YAN ,PAG NASA IBANG BANSA SILA MABABAIT SILA.. PERO NALANG UN IBA NA MAKAKAPAL TALAGA ANG MUKA..